HustleBoss.com was on hand inside of the MGM Grand in Las Vegas, Nevada, as former WBC junior middleweight champion Saul ‘Canelo’ Alvarez continues to speak about his 10th round TKO victory over Alfredo ‘Perro’ Angulo. HustleBoss.com was on hand as former WBC junior middleweight champion Saul ‘Canelo’ Alvarez spoke to the media following his 10th round TKO victory over Alfredo ‘Perro’ Angulo, as seen on Showtime pay per view from the MGM Grand in Las Vegas. HustleBoss.com was on hand inside of the MGM Grand in Las Vegas, Nevada, for the official Saul ‘Canelo’ Alvarez vs. Alfredo ‘Perro’ Angulo weigh-in ahead of their Showtime pay per view clash on Saturday night. 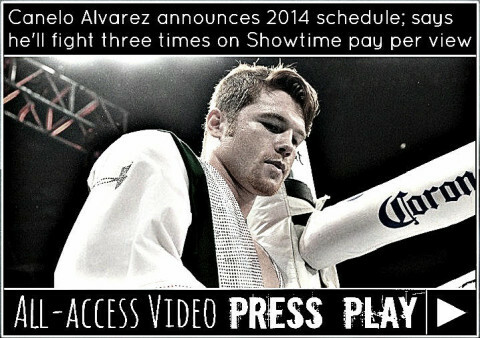 HustleBoss.com’s Chris Robinson and other media outlets speak with former WBC junior middleweight champion Saul ‘Canelo’ Alvarez ahead of his March 8 match on Showtime pay per view vs. Alfredo Angulo. 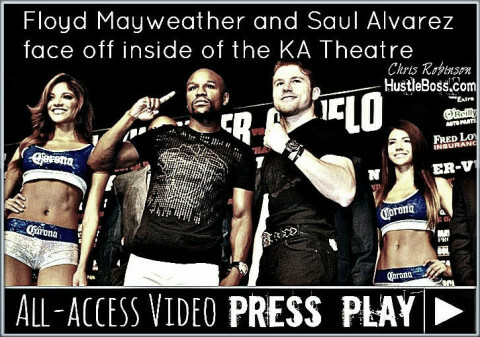 HustleBoss.com’s Chris Robinson and other boxing scribes catch up with Mexican superstar and former WBC junior middleweight champion Saul ‘Canelo’ Alvarez about his recent loss to Floyd Mayweather as well as Mayweather’s May 3 match vs. Marcos Maidana. HustleBoss.com goes behind the scenes with former junior middleweight champion Saul ‘Canelo’ Alvarez inside of the MGM Grand prior to his March 8 match vs. Alfredo Angulo. HustleBoss.com goes behind the scenes with former WBC junior middleweight champion Saul ‘Canelo’ Alvarez (42-1-1, 30 KO’s) inside of the MGM Grand in Las Vegas ahead of his March 8 match on Showtime pay per view vs. Alfredo Angulo. HustleBoss.com was on hand inside of the MGM Grand Garden Arena in Las Vegas, Nevada as former WBC junior middleweight champion Saul ‘Canelo’ Alvarez and his March 8 opponent Alfredo Angulo came face to face ahead of their Showtime pay per view clash. Former junior middleweight champion Saul ‘Canelo’ Alvarez speaks to the media in Los Angeles ahead of his March 8 showdown on Showtime pay per view vs. Alfredo Angulo. In this clip, Alvarez pays respect to Angulo while possibly dissing Floyd Mayweather. 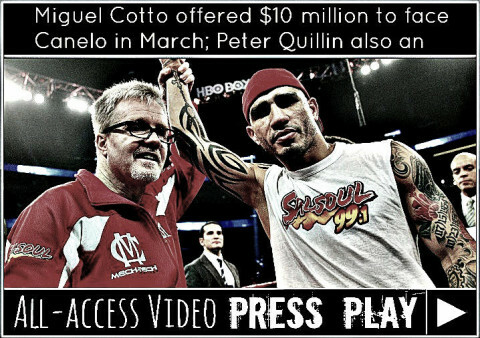 Miguel Cotto vs. Canelo Alvarez to be announced for March 8 at the MGM Grand in Las Vegas??? An update, as Yahoo! Mexico reports that a fight between former champions Miguel Cotto and Saul ‘Canelo’ Alvarez will be announced in the coming days for March 8 inside of the MGM Grand in Las Vegas, Nevada.